Well, I finally have my slide deck far enough along to post so here it is. If you have any feedback please send me a note at the e-mail in the slide deck and I will see if I can incorporate the feedback into the next version. I am working on the next presentation which should be more technical and I am also working on a lab configuration to do testing with IPv6. My apologies to the West Michigan NT Users Group for not getting this out a little sooner. SANS Top 20 Vulnerabilities is out again. I think the most amusing part of SANS putting this out every year is the fact that it really hasn't changed that much. There are examples of vulnerabilities that stand out for some years but the reality is they pretty much stay the same. This seems to indicate that either we are not addressing the core issues or the vulnerabilites are being identified to generally to allow any significant movement within the lists. Hurricane Electric IPv6 Tunnel Broker is one of the few that I am aware of that is free and is offering IPv6 /64 prefixes with it. I hope to be setting this up shortly for some labs I am putting together. Hurricane also has some of the more impressive native IPv6 peering out there, especially considering how limited native IPv6 is to obtain. You can check out their IPv6 site to get more info. SBC has officially finished the acquisition of AT&T and are keeping the AT&T brand name. There is an article over at CNET News about it also. The market is really consolidating in the telecommunications space in terms of providers. It is going to be very interesting seeing how this effects pricing for the end consumer. Close on the heels of this deal is the Verizon purchase of MCI which will make another huge telecom provider. Keep an eye on your phone bills! 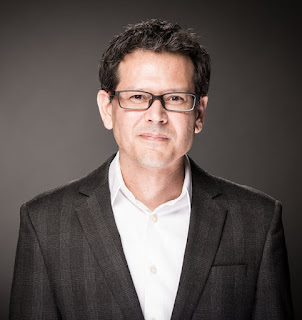 Juniper Networks to Acquire Funk Software is an interesting move. Funk Software makes one of the best third party 802.1x supplicants on the market so this move effects Cisco more then folks might think. Also, Steel Belted Radius is a great product that is used by a ton of service providers and I know several SE's who recommend it to service provider clients. I imagine that will change now. All Juniper needs to do is buy Foundry, a storage switch vendor (Sanrad?) and a good wireless company and they could be playing in a lot more Enterprise space. It is going to get very interesting in the next few years in the network vendor space. I guess you could argue that if Juniper picked up a VoIP offering for the edge, not just session border controllers but handsets also, it would look a lot like Cisco. Slashdot pointed over to an interesting article on IPv6. It is here at Computerworld and basically is a classic old world arguement about IPv4 vs IPv6. I differ from the comments made by one of the article's experts, Geoff Huston, who claims that the driving force for IPv6 has to come from the service providers. I actually think that IPv6 as a rollout will happen at the edge and that the majority of the core of the Internet will stay on IPv4. This pretty much eliminates the arguements he has for why IPv6 won't come into the market. With every major OS now supporting IPv6 and will all the transition technologies relatively baked now I think folks who want to take advantage of what IPv6 can do now have the tools and means to do it. This is a huge win for application developers (though I don't think they know it yet!) 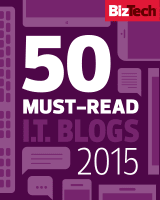 and an interesting issue for IT Professional who have to manage these new networks. I think the only thing really holding back deployment at this point is the lack of knowledge for IT Professionals in how IPv6 works, when to implement it and how to roll it out. I have been able to get Teredo working with some well known Teredo servers but I have not been able to test any Teredo relay servers at all because I can't find any! I am thinking that I need to get one set up so I can do testing and lab configurations. Anyone know of some good Teredo resources? I have been doing more reading and research on IPv6 and I must admit there are going to be some major barriers for IT Professionals to get over before they are going to feel comfortable running it on their networks. My biggest concern is the fact that many people will have next to no lab or practice time using it before they will be asked to deploy it! And with Windows Vista having IPv6 on by default and Longhorn Server also doing the same the Enterprise landscape is going to change very rapidly as server teams start turning up these new OS's. I would not be surprised to see a backlash from the networking teams in regards to having IPv6 running over their IPv4 network infrastructure. I don't know of a lot of shops that are running any sort of native IPv6 networks or test labs currently. The next question is how fast service providers are going to offer native IPv6 offerings or transition services. This Memorandum for the Chief Information Officers from the Executive Office of the President, Office of Management and Budget is about the Transition Planning for Internet Protocol Version 6 (IPv6). The first action date of November 15, 2005 is under two weeks away. It will be interesting to see how many agencies are able to comply by this date! 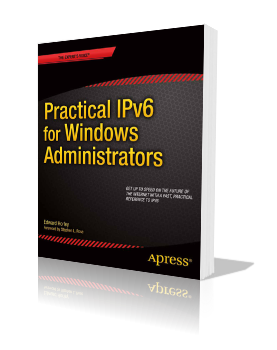 Any IT Professional who thought they wouldn't have to deal with IPv6 are in for a surprise. 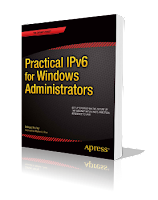 My colleagues Doug Spindler, Mike Pennacchi, Joseph Davies and I are coming up with practical IPv6 labs for folks to start using to learn all the different senerios you can do to transition to IPv6. Hope to get the stuff out there shortly. Looks like Cisco is having issues with their website or their peering today as the site is not coming up right now. Odd that they would be having those sort of issues considering the HA solutions they sell. I wonder what is going on? Well, from what I have heard there was a power outage in Santa Clara that effected Cisco's BGP peering. Well, for a short while folks couldn't get to www.cisco.com from several different service providers. Everything looks to be up and working now though. Windows Live was announced yesterday. It is in Beta and seems to be and interesting concept for Microsoft. Windows Live is supposed to be e-mail, IM and other services (basically stuff Yahoo! has had working for ages) all via a web interface. Most folks are saying this is in response to Google. Microsoft also announced Microsoft Office Live which is supposed to launch in early 2006. Basically it is an online business tool set. I don't know how successful it will be but it is an interesting idea.